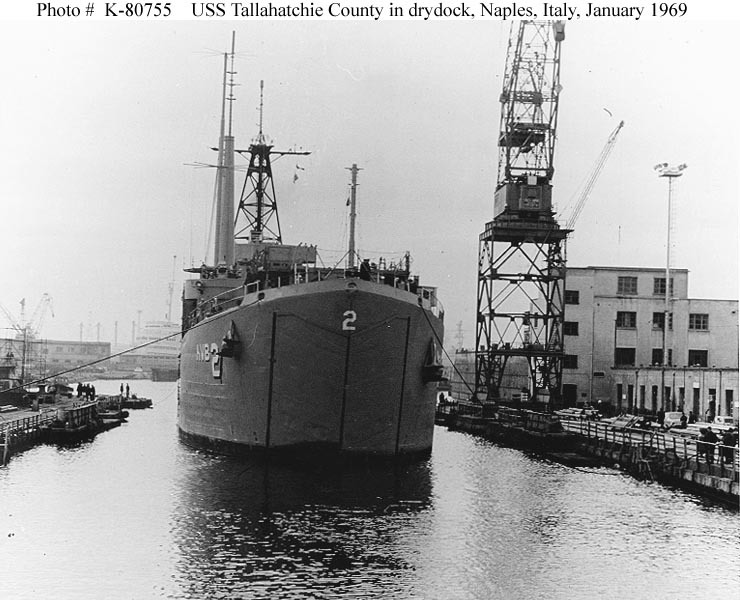 ↑USS Tallahatchie County (AVB-2). 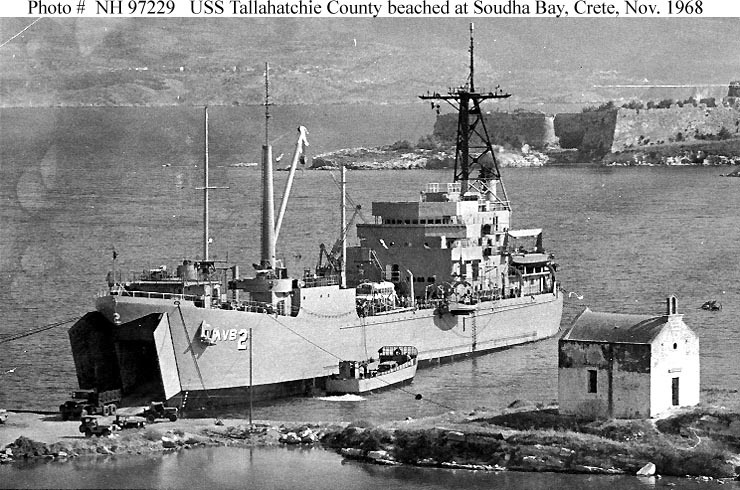 Beached at Soudha Bay, Crete, in November 1968. 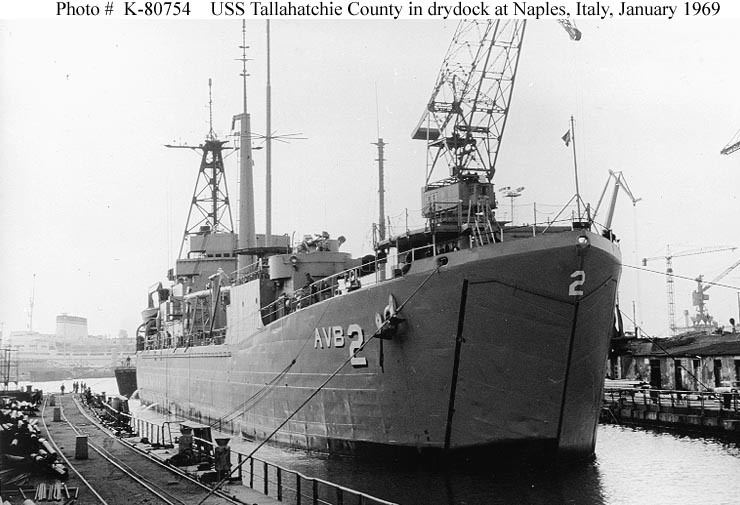 Courtesy of Lieutenant John R. Holland, Engineering Officer, USS Tallahatchie County, 1969. U.S. Naval Historical Center Photograph. 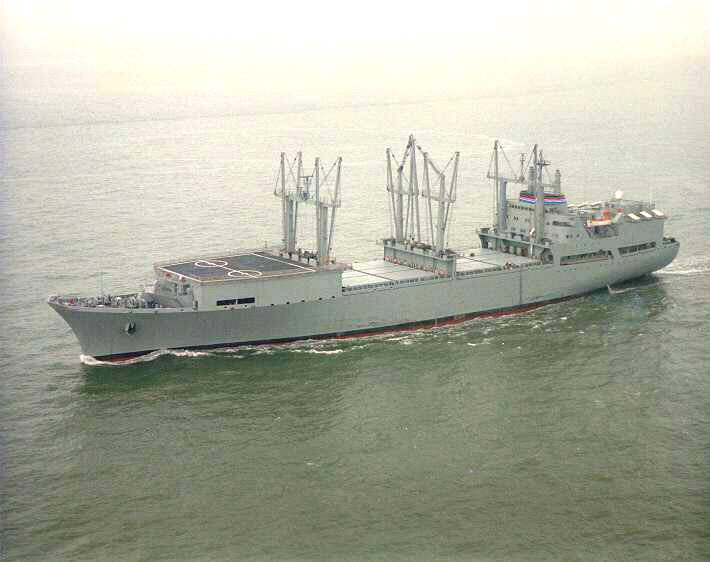 ↑Wright (T-AVB-3) underway, date and place unknown. US Navy photo. Image courtesy of NavSource.